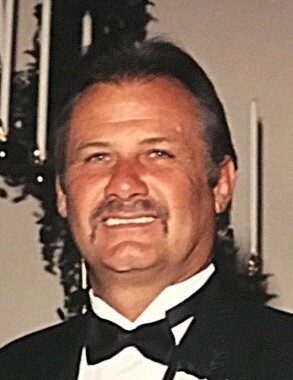 Jackson,LA-Charles Wayne Partridge, Sr., age 67 of Jackson, Louisiana, formerly of Cleveland passed away peacefully in his sleep on November 23, 2018 at his home. The family will receive friends Wednesday, November 28, 2018 from 12:00 PM until 2:00 PM at Cleveland Funeral Home. A celebration of life Service will follow at 2:00 PM in the Cleveland Funeral Home Chapel. Mr. Partridge will be laid to rest at the North Cleveland Cemetery immediately following the funeral service. Reverend Bill Kirkpatrick will officiate the services. Mr. Partridge was born on July 16, 1951 to John Leonard Parttridge and Mary Nell Downs Parttridge in Drew, Mississippi. He married Carol Mosley on September 22, 1973 and the two had four children together. Charles worked at Atmos Energy, Mississippi Valley Gas at that time, for ten years. Upon leaving Mississippi Valley Gas, he went to work for Soliz Construction until he moved to Louisiana. He held several jobs in Louisiana but when he retired two years ago at the age of 65, he was the Jailer for Jackson Louisiana Sheriff Department where he was in charge of the inmates and their work duty. Charles was an avid guitar player and singer; he also enjoyed going fishing from time to time. Mr. Partridge was preceded in death by his parents John Leonard and Mary Nell Partridge, 7 siblings; Billy Partridge, Mozell Chasen, Jo Anne Hagan, Johnnie Mae Yarbrough, J L Partridge, Henry Parttridge and Sarah Rosemond. He is survived by his four children; Michelle Mullen (Joshua Prestage), Charles “Chuck” Partridge, Jr. (Emily), Shane Partridge (Jennifer Purvis), all of Cleveland, MS and Kerri Morris (Brian) of Florida. He also leaves behind ten grandchildren, one great grandchild and one unborn great grandchild. Out of 14 siblings he is survived by 7; Janice Sigler (Robert) of Gulfport, MS; Shirley Wilkerson, of Cleveland, MS; Sonny Parttridge (Becky) of Sardis, MS; Jack Parttridge (Sandra) of Western Grove, AR; Anna Hagan (James) of Murfreesboro, TN; Mary Jane Winters of Ruleville, MS and Jimmie Best of Cleveland, MS. He also leaves behind a host of nieces and nephews to cherish his memory. Pallbearers are Joshua Prestage, Timothy Partridge, Bailey Partridge, Jason Parttridge , Brock Bailey, Jason Bailey and Scott Best. Mr. Partridge will be missed by his many family members and friends. The family appreciates all the prayers of comfort during this difficult time.